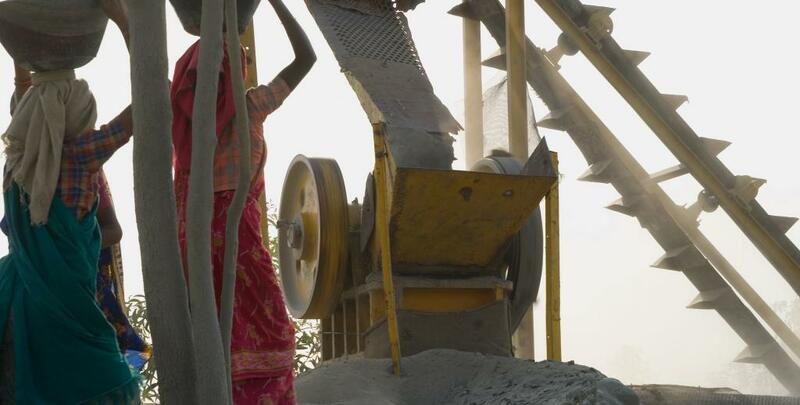 In March 2019, the Indian government has come up with a new National Mineral Policy (NMP) that replaced the earlier 2008 Policy. The latest mineral policy, which pertains to non-coal and non-fuel minerals, says that a major outcome expected from the policy proposals is to “increase the production of major minerals by 200 per cent in 7 years”. The target is tied to the current Government’s Make in India initiative and to boost India’s economic growth. While the main outcome envisioned from the new policy is a massive increase of domestic mineral production and reducing trade deficits in the mineral sector in the next 7 years, the development of a new Policy was sought to address many fundamental problems associated with mining activities, than fulfilling the sector’s economic mandate. A direction of the Supreme Court (SC) issued in August 2017 prompted the development of the new NMP. The top Court, while delivering its judgement on “rapacious” mining in Odisha’s top mining districts (Keonjhar and Sundargarh), observed that such mining activities has destroyed the environment and forests and caused much misery to local communities (the tribals in the area). The Court noted that there is no effective check on mining operations nor is there any effective mining policy to guide so. It said that the NMP 2008 “seems to be only on paper and is not being enforced perhaps due to the involvement of very powerful vested interests or a failure of nerve”. It was also observed that the 2008 Policy was too dated to deal with the challenges of the day including “rapacious mining in several parts of the country”. The Court therefore, asked the Indian government to revisit the NMP of 2008, and “announce a fresh, more effective, meaningful and implementable policy”. The mining sector has long been mired with issues of unscientific mining, poor track records of environmental and social performance, and high instances of illegal activities. The regulatory environment, and capacity and accountability of our authorities, have also sustained this. Given this, the need to develop a new NMP was a timely proposition. It was a crucial opportunity for the government to come up with a policy document that would guide the mining sector to function with utmost environmental and social responsibility, besides economic considerations. The question is will the NMP 2019 ensure so? In August 2017, following the SC direction, a 29-member Committee chaired by K Rajeswara Rao, Additional Secretary of the Union Ministry of Mines, was set up by the Ministry to come up with a new NMP. In one-and-a-half years, the Policy that has finally been developed, is actually one that is a win- win for mining companies and investors. While the document mentions that mining should be environmentally sustainable and equitable, there remain serious questions on how effective this Policy will be to ensure environmental protection, ecological conservation and protect people’s rights in the mining areas. With a focus to ramp up mineral production massively, the new Policy is largely guided by the penchant for ‘ease of doing businesses’ and attracting investments. A number of mechanisms have been proposed to ensure this. A key proposal that has been introduced in the NMP is the creation of ‘Exclusive Mining Zones’. These ‘zones’ will come with approved, in-principle clearances to “curtail delay in commencement of mining operations”. In-principle clearance is tied to forest land diversion for non-forestry purposes. As most major mining activities involve such land diversion, this will help to open up huge tracks of forest land to multiple companies and investors for mining in one go. The proposal will also create major loopholes in obtaining successive clearances and permits by mining companies who will be part of the exclusive mining zone, and also in compliance of clearance and permit conditions. All in all, serious concerns arise about the impact of this proposal on forest ecology, wildlife corridors and forest-dependent communities. In fact, making the clearance process simpler and faster for the commencement of mining operations has been repeatedly emphasised in the Policy. So much so, that the Policy mentions that in case of delay, there shall be provisions for the project proponent to “generate triggers at higher level” in the online portal of clearances. The environmental clearance (EC) and forest clearance (FC) process over the past five years has been streamlined and simplified (making it single-window) for the convenience of the project proponents. But what has not been done is making the clearance process robust and comprehensive to improve the quality of assessment before projects are cleared. Neither has post-clearance monitoring been strengthened. The clearance mechanism continues to suffer from a fragmented approach. The process has largely become a bureaucratic paperwork, with little focus on protecting environment and community. Instead of repeated emphasis on simplifying clearances for mining projects, the policy should have provided guidance for strengthening it. It should have laid emphasis on synergising the EC and FC processes to remove a fragmented approach while evaluating project impacts. Guidance should have been provided for developing one comprehensive impact assessment report that evaluates the impact of mining on environment and the forest habitat. This would have helped in strengthening assessment before clearing projects, improved monitoring, and minimised possibilities of controversial decisions. In all these, the only exception that the Policy makes is for ‘critically fragile ecological areas’, which it says should be declared as ‘no-go’ and ‘inviolate’, to keep out from mining. For all other areas, ‘easing development’ is the prerogative. Environmental pollution from mining activities is a major problem in most mining areas. This arises from unscientific and rampant mining (and related) activities, poor pollution standards and pollution monitoring, and improper mines management and mine closure practices. Air, water and soil pollution problems in almost all key mining districts of India have severely affected people’s health and their livelihood. However, the Policy provides little effective guidance to improve this. For instance, there is no specific standard on environmental pollution from mining under our umbrella environmental legislations — the Environment (Protection) Act (1986), the Water Act (1974) and the Air Act (1981). Among non-coal minerals, pollution standards have only been developed for iron-ore mining under Environment Protection Rules, 2010. Also, baseline pollution monitoring data in most mining areas is nearly non-existent or extremely poor. Considering this, the new policy should have given guidance for specifying standards and outlining mechanisms for pollution monitoring in mining areas under the concerned laws. This should have at least been suggested for minerals which are slated to have significant production, and have higher potential to cause environmental pollution. However, what the Policy only mentions is to use “renewable sources of energy at mining sites” to reduce pollution, carbon footprint and operational costs. The Policy also falls short in providing necessary guidance to ensure effective mine closure practices. A key impediment for proper mine closure in India is that the current financial assurance for this is insufficient. For instance, as per the Mineral Conservation and Development Rules (2017), it is just Rs 3 lakh per hectare for A category mines and 2 lakh per hectare for category B mines, which have been granted on a non-auction basis. These include most mines that are currently operating. This is very low in global comparison, where the costs are at least five to six times higher. However, the Policy does not give any clear guidance to improve this. It only mentions that financial provisions for the costs incurred in mine closure should be given high level of priority by the government. Ensuring welfare of mining-affected communities is one aspect that the policy refers to in a more articulate manner. Three things have been emphasised in this regard — relief and rehabilitation of displaced and affected persons, devolution of mining benefits to project affected persons through District Mineral Foundation (DMF), and ensuring welfare of tribal communities. The Policy also emphasises on implementing all the provisions of rehabilitation and resettlement as outlined in the Right to Fair Compensation and Transparency in Land Acquisition, Rehabilitation and Resettlement (RFCTLARR) Act, 2013. However, given the penchant for easing mining and attracting investments, ensuring the welfare of communities can only become postscripts of such activities. If the government is serious about ensuring welfare of people in mining areas and securing their rights, it must improve mechanisms of giving clearances, management of environmental pollution and preservation of natural resources, with which the lives and livelihoods of these people are intricately related. What essentially stands is that the NMP 2019, misses out on providing necessary guidance on some of the fundamental things that would have made it a strong guiding document to ensure environmentally and socially responsible mining as the Supreme Court had intended. However, the hope now is that our policy makers will work on the prescriptions cautiously. Proposes to increase the production of major minerals by 200 per cent in seven years, and reduce trade deficit in mineral sector by 50 per cent in seven years. Aims to attract private investment through incentives like financial package, right of first refusal at the time of auction etc. or any other appropriate incentive according to international practices. Introduces the concept of Exclusive Mining Zones which will come with in-principle statutory clearances for grant of mining lease. Emaphasises on simplifying the clearance process and making it time-bound for mineral development and commencement of mining operations. Proposes to identify critically fragile ecosystems and declare such areas as “no-go areas”/ “inviolate areas”. Encourages merger and acquisition of mining entities, and transfer of mining leases that have been granted in a transparent manner to ensure seamless supply of ores and scaling up of business. Focuses on a long term export-import policy for the mineral sector to provide stability for investing in large scale commercial mining activity. Proposes harmonising royalty and all other levies and taxes with mining jurisdiction across the world. Emphasises on ensuring welfare of mining-affected people / communities and ensuring rehabilitation and resettlement, by suitable implementation of all relevant Acts / Rules. Introduces the concept of Inter-Generational Equity in mineral resource exploitation. Proposes development of an over-arching inter-ministerial body, under the aegis of the Ministry of Mines, to institutionalise mechanisms of sustainable mining. The body will also advise the Government on rates of royalty, dead rent etc.